John Burke Chairman Castlebar Credit Union presenting Patrick Durcan, Castlebar Mitchels with a sponsorship cheque for the upcomming All Ireland Final which takes place on 17th March. 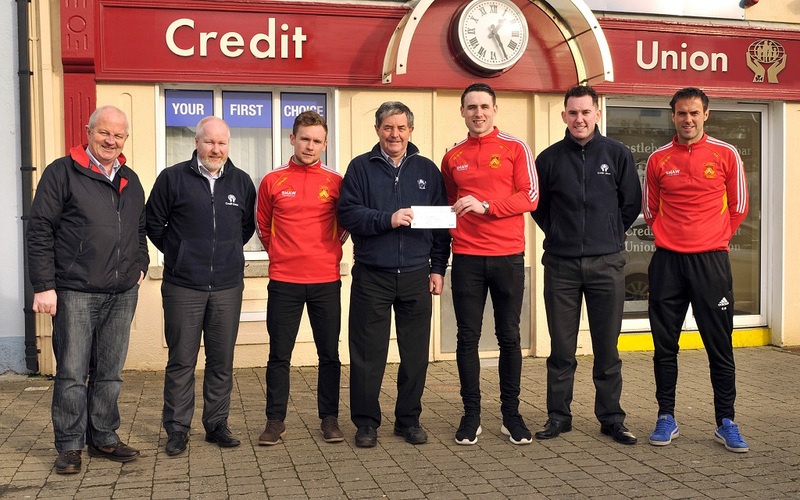 John said the Credit Union is delighted to be associated with the team and wish them every success in the final L-r; Jimmy Murphy, CU, John Hughes , CU, Stephen Keane, John Burke, , Patrick Durcan, Barry McHugh and Ronan Burke. Photo © Ken Wright Photography 2016.